On behalf of the Organizing Committee, we thank you for your attendance and participation at I2MTC 2018 in Houston, Texas, USA! We look forward to your attendance next year in Auckland, New Zealand! 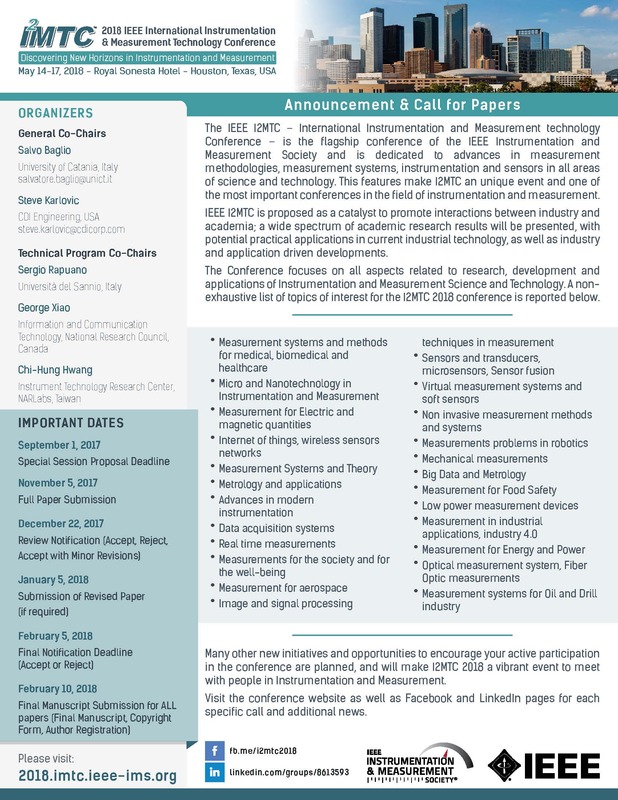 The IEEE I2MTC conference has been held around the world every year since 1986, and in 2018 it will take place in Houston, TX, USA. The conference gathers more than 400 attendees every year including delegates from academia, undergraduate, graduate and PhD students, researchers, and professionals from industry with different technology backgrounds.